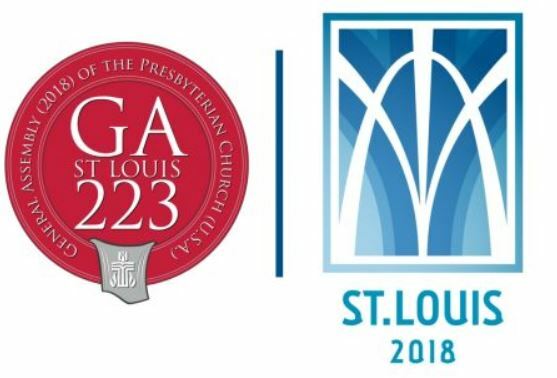 (Original post, June 15, 2018) – This weekend in St. Louis, the Presbyterian Church will begin its biennial conference, known as the General Assembly. Every two years, commissioners from presbyteries (an administrative body that represents a group of congregations) from around the nation gather to worship together, discuss business matters, and plan for the future of the church. And as in years past, divestment is back on the subject list. The General Assembly is organized in a way that allows members from any congregation to bring matters of concern before the entire church, in the form of overtures. At this year’s meeting, like the two previous General Assemblies, there is an overture calling for the church to divest its oil and gas holdings. The church has reviewed divestment overtures in the past, and multiple times its members decided that keeping oil and gas investments is the best way to make environmental progress. Despite these facts, activist groups have linked up with members of the church community to oppose oil and gas development and investments. Fossil Free, a project of keep-it-in-the-ground proponent 350.org, has created a special campaign to make amplify this issue within the church and was a co-author of the divestment overture that will be debated at this year’s meeting. The commissioners instead decided to take a deeper look at the strategic engagement of divestment as it relates to their investments and report back at this year’s meeting in the form of a minority report. In 2014 the church also voted to refer the overture that called for divestment to the MRTI committee , who responded with recommendations to work with companies to mitigate the risk of climate change. The committee did not believe that divesting from oil and gas companies was an effective method of engagement. Despite these past rejections, activist groups have linked up with members of the church community to oppose oil and gas development and investments at the 2018 meeting. Fossil Free, a project of keep-it-in-the-ground proponent 350.org, has created a special campaign to make amplify this issue within the church and was a co-author of the divestment overture that will be debated at this year’s meeting. These recommendations will now come before the assembly’s Environmental Issues Committee as they debate a variety overtures related to environmental and social issues this weekend. If the oil and gas divestment overture makes it out of the committee, it will then be voted on by the entire assembly (who shot down a similar overture in 2016). In addition to the MRTI committee, other church agencies have stated that divestment from oil and gas would make it harder for the church to advocate for environmental goals. The Advisory Committee on Social Witness Policy (ACSWP), Advocacy Committee for Women’s Concerns and Advisory Committee on Racial Ethnic Concerns all disapprove of the oil and gas divestment overtures that are being brought before this year’s General Assembly. Based on the recommendations and comments that have been released ahead of this year’s General Assembly, it appears that the Presbyterian Church is poised to once again reject oil and gas divestment, and instead opt for active engagement with their investments. We’ll be watching to see if the commissioners at the meeting heed the advice of the church’s advisory committees and elders from around the country.